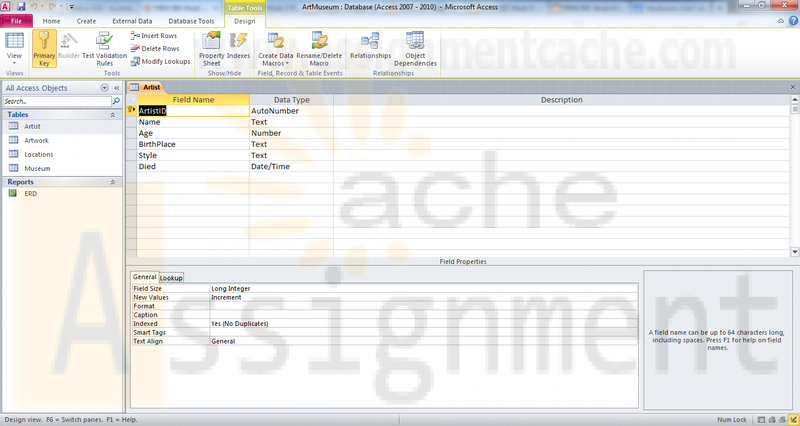 The following assignment is based on the database environment chosen and discussed in the Week Two Individual Assignment. Use a Microsoft® Visio® diagram to create a detailed ERD using the data specifications noted in the Week Two Individual Assignment. Make any necessary changes provided in your faculty’s feedback. · Use a Microsoft® Access® database to create the preliminary database tables, columns with data types, primary keys, and relationships. 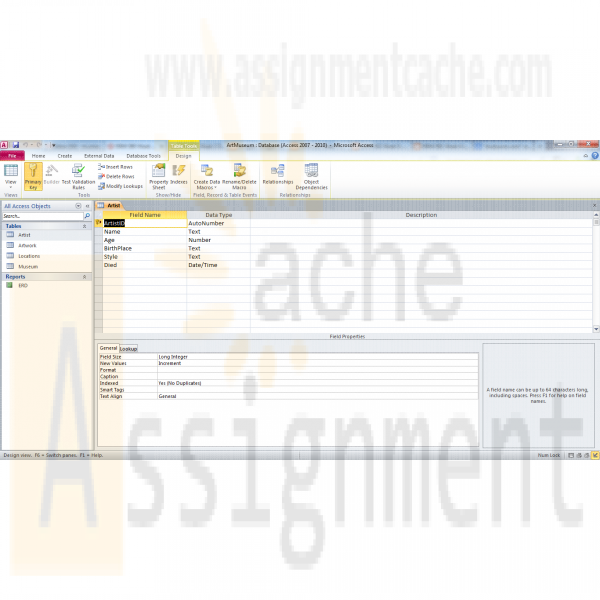 Individual ERD Creation Project The following assignment is based on the database environment chosen and discussed in the Week Two Individual Assignment. 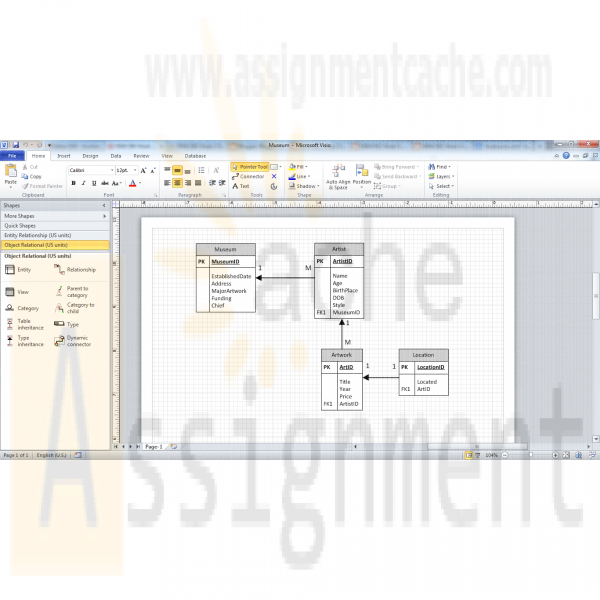 Use a Microsoft® Visio® diagram to create a detailed ERD using the data specifications noted in the Week Two Individual Assignment. Make any necessary changes provided in your faculty’s feedback. · Use a Microsoft® Access® database to create the preliminary database tables, columns with data types, primary keys, and relationships.